CORVALLIS, Ore. – Recess periods can offer physical, cognitive, social and emotional benefits to elementary school children, but those benefits are tied closely to the quality of the playground experience. 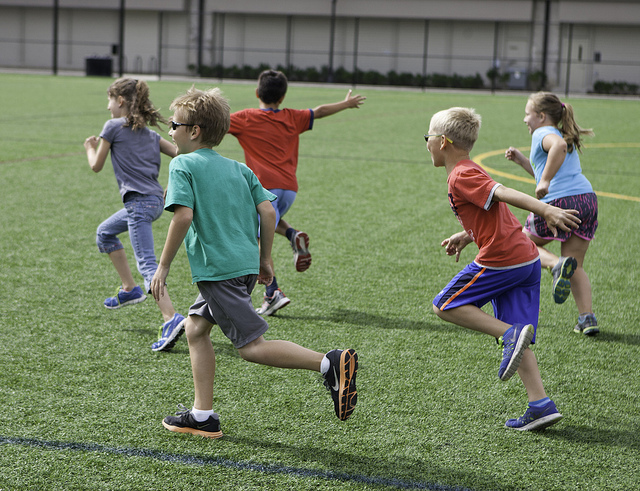 Playground safety, access to play equipment, peer conflict resolution and quality engagement between adults and students are among the factors that contribute to a quality recess experience, new research from Oregon State University shows. Recess is seen by educators and policymakers as a valuable part of child’s school day. The Academy of Pediatrics, for example, has deemed recess as essential, and some states are now mandating recess in schools, Massey said. Past research has shown that participation in play can help facilitate the development of social and emotional skills such as goal-setting and teamwork. Recess can also provide opportunities for children to develop social skills through peer relationships, sharing and conflict resolution. But recess can also be seen as unsafe - a time and place where bullying, conflict and violence can occur, Massey said. Most existing research about recess focuses on its role as physical activity for children. Few studies have examined the quality of the recess experience from a child development standpoint beyond that, said Massey, whose research interests include the implications of play, sports and other physical activity on youth development, particularly in urban and low-income areas. To better measure and define a quality recess experience for children, Massey and his co-authors developed and tested a new observational tool that will allow schools to study the outdoor recess environment. The researchers’ next goal is to get the observational tool to as many schools as possible, so they can start to identify patterns and determine what is working best at schools around the country. They also want to begin tracking how a good or bad recess period affects a child’s academic or behavioral performance in the classroom, Massey said.